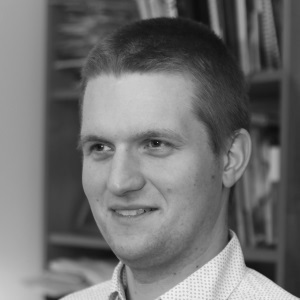 Krzysztof Dryś is a software developer, with a passion for creating systems which work. He likes clean code, designing systems and working with people. He has graduated in Computer Science from the University of Wrocław. Since then he has been working for a number of companies (including Nokia, Microsoft, and a few startups) and in different technologies (including Java and .Net). For the last three years, he has been programming in Go. It took him some time to appreciate the simplicity of Go, but now it is definitely his favorite language. For about a year and a half, he has been involved in Wrocław Go meet-up: both as a speaker and an organizer. For the last three years, I have been programming in Go. Before that, I was mainly using Java and .Net. I will describe what surprised after switching to Go and how it (eventually) became my favorite language. I want to encourage everyone to try Go and make the first steps (even) easier. Lack of generics is supposedly the biggest problem with Go. I will tell, when this was a problem for me, when it wasn't and how it sometimes can be solved with interfaces. Code vendoring maybe be not unique to Go, but it was something new to me. And while storing vendor in Git is controversial in Go community, I will argue that this a great feature. A lot of frameworks in Java and .Net highly rely on reflection. Reflection package in Go does not have that many features. I will talk about the consequences. For example lack of ORM projects similar to Hibernate (Java framework) and Entity Framework (.Net). Go has two great concurrency primitives: goroutines and channels. I will talk about them briefly and show how some problems might be simpler with them.